These, and so many of the words in The Pomegranate Papers, are the words of maturity and wisdom, from a woman “No longer baby, and not yet old woman, … poised on the brink of midlife.” (“Woman Births Century at Midlife”, p. 129) And like that red fruit that yields so much promise with each little seed, this book is one to be savored. Maria Scala s a writer and editor living in Toronto with her husband, daughter, and son. 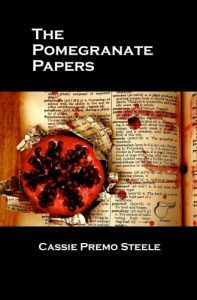 Her poetry and non-fiction have appeared in Descant, PoetryReviews.ca, mamazine, Between O and V, and Sweet Lemons 2: International Writings with a Sicilian Accent. She is a senior editor for Literary Mama.